Your website is an extension of your brand, and as such, it should represent your brand in the most authentic and professional manner possible. If visitors view your website as being just another generic, poorly designed site with no real sense of cohesion, it could hurt your efforts to generate sales and conversions. There are literally thousands upon thousands of different fonts, with new ones being designed all of the time. It’s best to stick with a standard font like Times New Roman, Courier or Verdana. You’re also better off using fonts that are designed for the web and will work on all browsers and devices. A good place to start is with Google Fonts (free) or Adobe Typekit (subscription). Choose a few fonts that go well together, such as a serif font for your headings and a sans serif font for body text. There’s an old saying that goes, a picture is worth a thousand words. Adding high-quality, professional images to your website will enhance its visual appearance while making it look more professional in the process. Rather than using small images, you should stick with large images. From Apple and Google to Wal-Mart and Amazon, companies of all different sectors use this strategy for their websites. Big images improve the aesthetics of a website, making it look cleaner and more professional. Here are some ideas on where to find high quality, safe-to-use images. Does your website feature your business’s contact information? However, don’t just place an image featuring your business’s contact information on your site, but instead include your contact info in the form of plain text. Search engines can crawl and index text, but they cannot do so for images. The old days of using drop shadows in web design are gone (thankfully). Now, professional websites are being designed with flat visual elements in which there are no shadows. It’s recommended that you follow a similar approach with your site’s design, opting for flat elements instead of shadows and 3D objects. If you’ve recently tried to view a site on your smartphone or tablet that wasn’t mobile-friendly, you know how difficult it is to navigate and read. More than half of all Internet users use a mobile device now. The last thing you want to convey to your visitors is that your organization is “behind-the-times,” so make sure your site is mobile-friendly. When designing your website, be sure to include all of the relevant brand elements, such as business/site name, logo, tagline and color scheme. It’s probably easier to leave the default header on your site’s template, but this reflects poorly in terms of professionalism. Replacing the default header with a custom header featuring your name and logo will go a long way in creating a more professional-looking site. Have any other tips for creating a professional-looking website that you would like to share with our readers? Let us know in the comments section below! Would you rather someone create a functional and professional website for you? Contact us here for a consultation about how we can help. Does your business website match up with these six tips for standing out above the rest? See what makes websites look more professional, and how easy it is to make the changes. 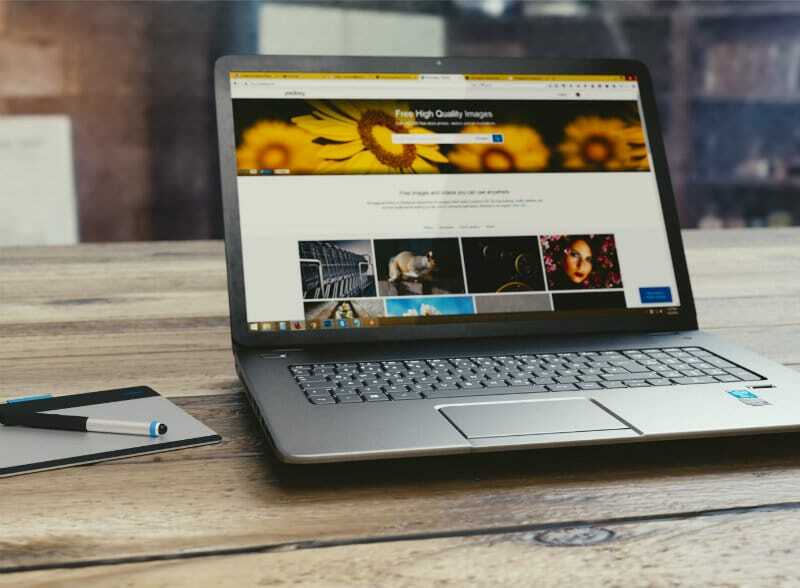 Tagged: best fonts for your website finding high quality images How to Make a More Professional-looking Website make a custom website header make your website mobile-friendly Six Tips to Creating the Best Website what is flat web design?